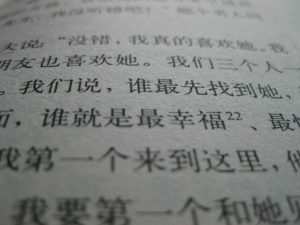 I Just Finished my First Chinese Novel! – Writer. Traveler. Tea Drinker. I Just Finished my First Chinese Novel! 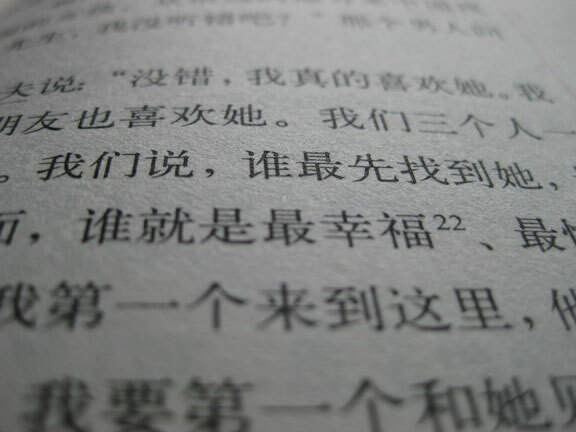 The book was one in a series called Chinese Breeze. 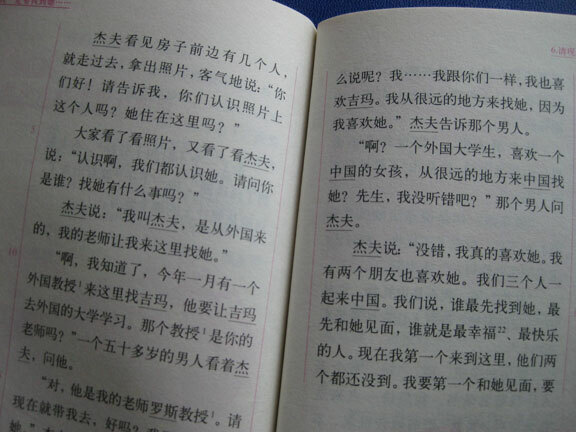 These are Chinese books for Mandarin learners, not native speakers. Chinese Breeze is a graded reader series, and the ones I’m reading are at the 300 base word level series which is the lowest. That is, they use 300 base characters, plus a number of common characters, for the whole story. Of course 300 characters can be turned into a whole lotta’ words when you start combining them, but there was a lot of repetition. There was also footnotes when a harder word was introduced. The thing that amazed me most was how many of the words I understood. In fact, I have learned almost all the words used in the book and I have only taken classes for about 3 months. I’m the world’s worst language learner and yet, despite myself, it looks like I have learned something! I also like it because it reinforces your learning on a different level. For instance in my textbook there is only small dialogs and then grammar exercises. The exercises use the same style of words from the dialogs so you don’t see the words used in a different context. In these books you can see the same words used differently which helps in overall language comprehension. Plus, it’s way less boring than constant review of my textbook which i have been doing recently. If you are learning mandarin I would heartily suggest this book series. They have higher levels of course, (level two is 500 base words, level 8 is 4,500 base words) so you can be challenged no matter how much you know. They also seem to have a wide range of topics. In the first series is a story about a murdered/suicide case, one about the (fictional) life of conjoined twins and an adventure story with two young kids looking for a bridge out of a fairy tale. 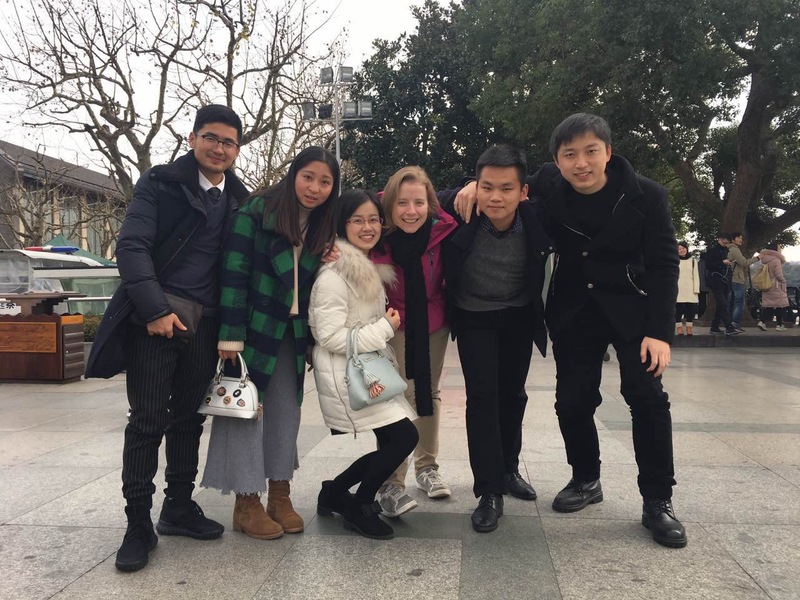 I also recently took the final exam in my Chinese class. Since I teach a lot I was only a part-time student going to class twice a week. My classmate had about 6 hours of Chinese class per day. I had 6 hours per week, so I know that I am not up to the same level as he is. Personally, I’m hoping for a 75. I know, not exactly aiming for the stars or anything, but I’d be very happy with that. So while I’ll never become a fluent language master, I’m beginning to feel a little more comfortable with the language and beginning to enjoy it more and more. It just stands to reason that since reading is one of my favorite things in English that it would be the quickest skill for me to pick up in another language too. I guess I’m just a bookworm in any language! You want me to help you cheat on your chinese homework?! ha ha. No way! Try reading it. Maybe it’s not as hard as you think.